“Native Americans have helped make America what it is today,” declares President Barack Obama in the annual National Native American Heritage Month proclamation. While the nation sets November a part to celebrate Native American culture, we know we can celebrate our rich Americna Indian and Alaska Native heritage 365 days, all twelve months a year. With November beign celebrated as National Native American Heritage Month, please take note of events surrounding the month-long celebration in your local community. 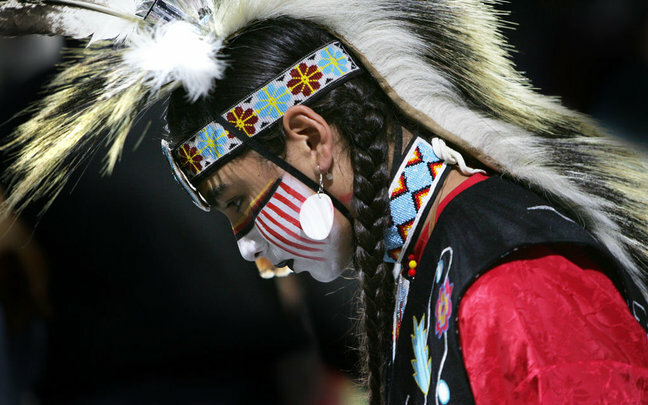 American Indians and Alaska Natives enrich every aspect of our country. As the first to live on this land, Native Americans and their traditions and values inspired — and continue to inspire — the ideals of self-governance and determination that are the framework of our Nation. 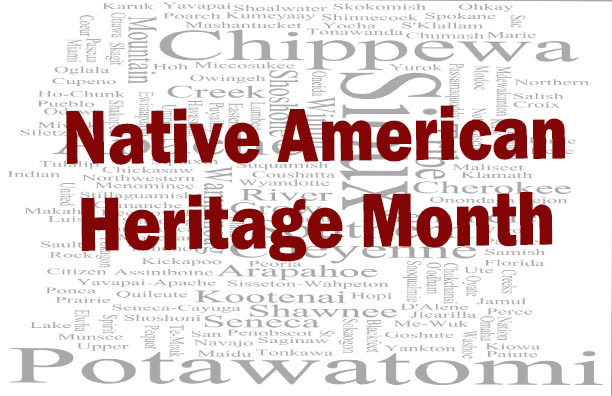 This month, we recognize the contributions made by Native Americans since long before our founding, and we resolve to continue the work of strengthening government-to-government ties with tribal nations and expanding possibility for all. 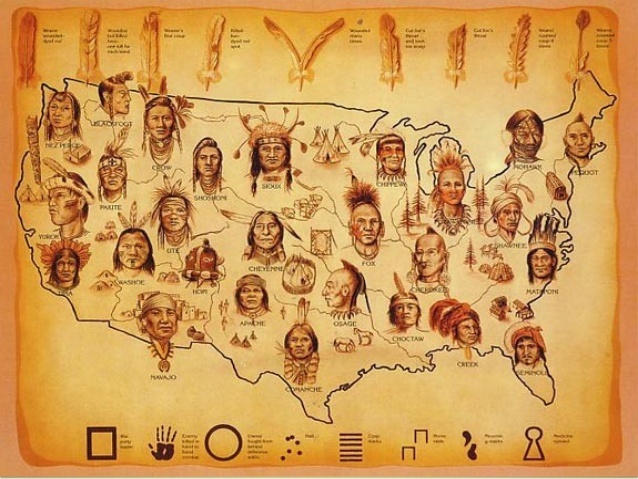 Native Americans have helped make America what it is today. As we reflect on our history, we must acknowledge the unfortunate chapters of violence, discrimination, and deprivation that went on for far too long, as well as the effects of injustices that continue to be felt. While we cannot undo the pain and tragedy of the past, we can set out together to forge a brighter future of progress and hope across Indian Country and the entire American landscape. Since I took office, I have worked with tribal leaders to write a new chapter in our nation-to-nation relationship. Ensuring young people have every opportunity to succeed is a critical aspect of our work together, and this year my Administration hosted the inaugural White House Tribal Youth Gathering following the launch of Generation Indigenous — an initiative aimed at improving the lives of Native youth and empowering the next generation of Native leaders. We will also host the seventh White House Tribal Nations Conference later this year, bringing together leaders of 567 tribes to explore opportunities for progress, with a particular focus on young people. As part of our agenda for providing Native youth the chance to realize their fullest potential, I have engaged tribal communities in a range of critical areas, and we have worked together to boost high school graduation rates and afford young people more chances to pursue higher education, employment, and professional development opportunities. We’re also working to expand access to health and counseling services essential to ensuring youth feel safe and heard. My Administration has continued to partner with tribes to address vital gaps in resources for Indian Country, including equipping communities with broadband, rebuilding infrastructure, spurring economic growth, and increasing renewable energy. To confront the peril of a changing climate, we are also working with tribal leaders across America to develop effective approaches to protecting our communities from this grave threat. And because we know that fostering pride in the languages, traditions, and practices that make up the extraordinary richness of Native American culture is central to our shared progress, my Administration remains committed to ensuring every community feels connected to the extraordinary legacies they are a part of. This month, let us reaffirm our responsibility to ensure each generation is defined by a greater sense of opportunity than the last, and let us pledge to maintain our strong relationship with tribal nations across America. By keeping this commitment, and by endeavoring to shape a future in which every citizen has the chance to build a life worthy of their hopes and dreams, we can ensure that ours is a country that is true to our spirit and to our enduring promise as a land where all things are possible for all people. November 27, 2015, as Native American Heritage Day. Responses to "Presidential Proclamation: Native Americans Have Helped Make America What It is Today"
I would like to see Columbus Day done away with. He was a horrid person torturing, enslaving and killing the American Indians. Columbus Day should be changed to Native Americans day!